If you’ve looked for a new pair of shoes in Topshop recently, you wouldn’t have been able to escape the plethora of cut out boots on the shelves (it currently has eight different styles on its website in the low heel section alone). The trend for this well-ventilated footwear originated last year at Balenciaga, but has finally started to catch on on the high street. It’s a look that works best with no socks, but as that’s not really an option on a day like today when London is shrouded in freezing fog, take heart in the fact that they also look great with thick black tights, or with a plain, ribbed sock on show. 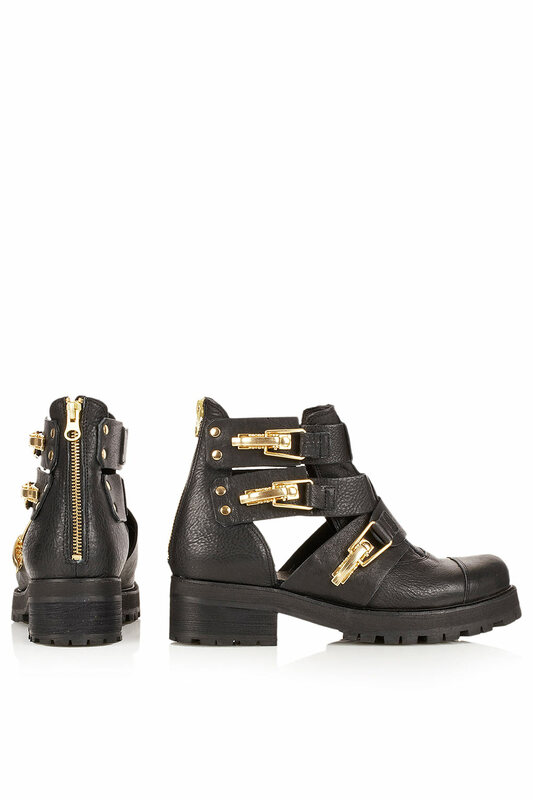 AJ cut out heavy ankle boots, £95, topshop.com BUY ME HERE! This first pair from Topshop are a dead ringer for the Balenciaga originals but at only £95, are a fraction of the price. I love that chunky hardware on the buckles and the zip up the back. 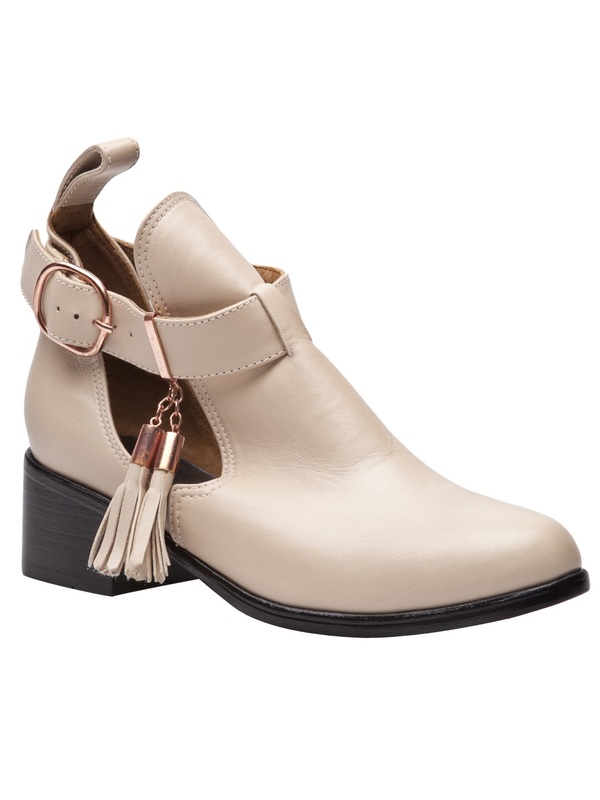 ACTON clean buckle boots, £78, topshop.com BUY ME HERE! 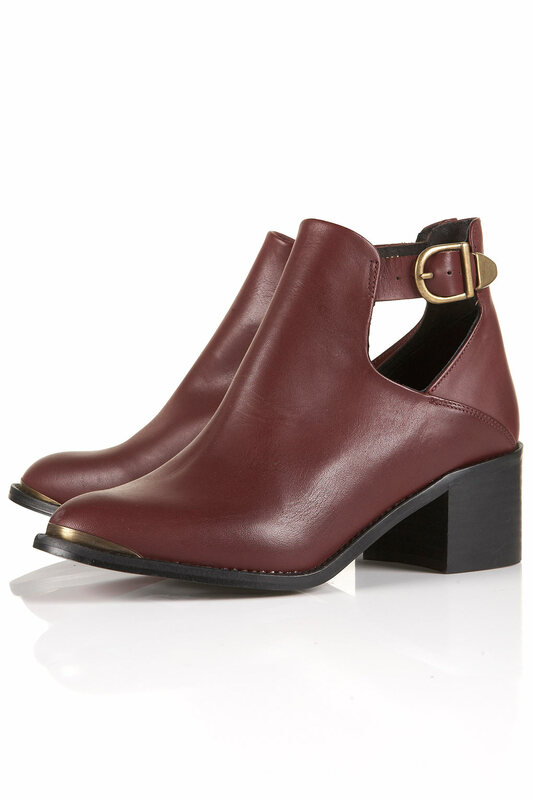 For something a little less goth, Topshop also has these smart burgundy boots. That little gold toe-cap is a lovely detail, and they look pretty comfortable too. Shakuhachi riding boot, £258.96, farfetch.com BUY ME HERE! If you have a little more cash to splash and would rather never be caught wearing the same shoes as anyone else, these luxurious Shakuhachi boots might be for you. Farfetch.com is a brilliant website that brings together the best designer boutiques from around the world. If you bought this particular pair of boots, they’d be shipped to you from American Rag in L.A. Exclusive! 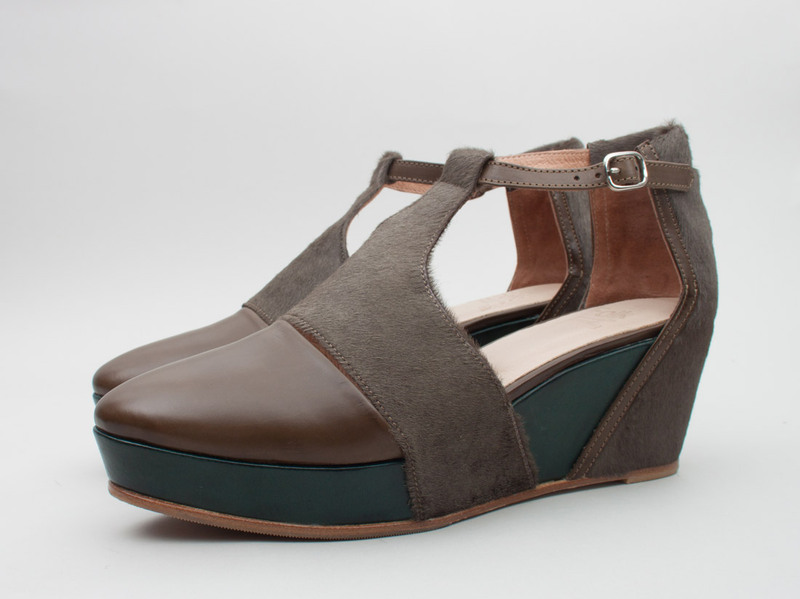 Folk Lily shoes, £375, folkclothing.com BUY ME HERE! Ooh they have some in Office I want…too scared just yet. Do you think they work with a sock?? Yes! Nice thick black/navy ribbed socks would work I reckon.